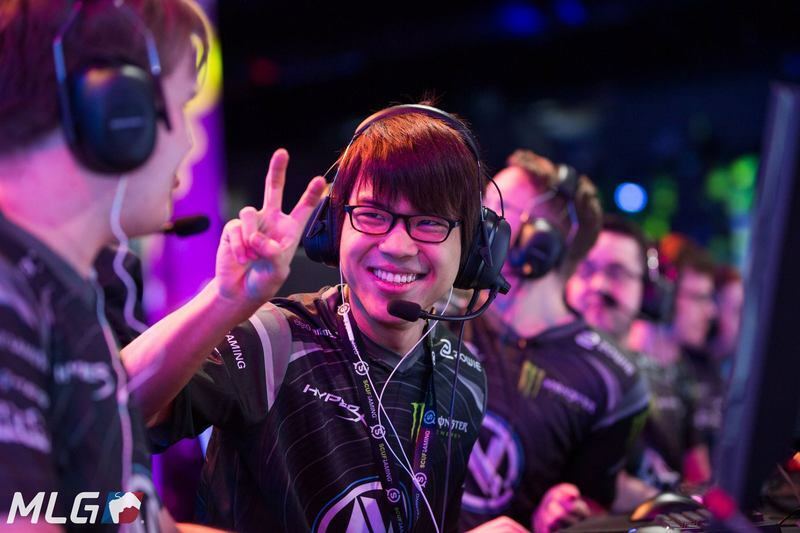 Though they started the tournament a teammate short, EnVyUs proved unstoppable. Team EnVyUs won the MLG Vegas Overwatch Invitational, with no team coming close to countering their impressive lineup. The Overwatch APEX Season 1 champions had a near perfect third day in Las Vegas, eliminating Cloud9 in the semifinals before taking a decisive win over FaZe Clan in the grand finals. EnVyUs played as if they had no trouble heading into the tournament—but they did. While many teams set up Overwatch bootcamps prior to MLG Vegas, EnVyUs didn’t have time, having just finished Overwatch APEX in South Korea. Timo “Taimou” Kettunen’s had travel issues, which had him landing in Las Vegas a day after the tournament began. And it truly was a team effort; each player proved irreplaceable in their respective roles. Dennis “INTERNETHULK” Hawelka proved himself a true flex support, playing an incredible Symmetra but willing to switch over to Winston in certain situations. And when EnVyUs did run INTERNETHULK on Winston during their match against FaZe on Numbani, it left the team with one healer—Sebastian “chipshajen” Widlund on Ana. For the average healer, solo Ana just wouldn’t be enough, but chispshajen makes it look easy. Christian “cocco” Jonsson kept all of EnVyUs safe behind his Reinhardt shield, landing major plays with his Earthshatter, letting DPS players Taimou and Jonathan “HarryHook” Tejedor Rua make quick work of enemy heroes. Adding Pongphop “Mickie” Rattanasangohod—an unstoppable D.Va player—as a stand-in seemed to have had a big impact on EnVyUs coming together as a team. And he’s a player they want to hold on to; following the grand final match, EnVyUs founder Mike “Hastr0” Rufail confirmed that Mickie will officially join the team. EnVyUs’ dominance does not discredit FaZe’s showing at the Overwatch Invitational, however. Second place—and $20,000—is impressive for the team’s first major LAN tournament. After all, FaZe did take out top team Fnatic in the semifinals in an intense 3-2 series. For a team that many call unpredictable and inconsistent, FaZe proved they can go toe-to-toe with the best.